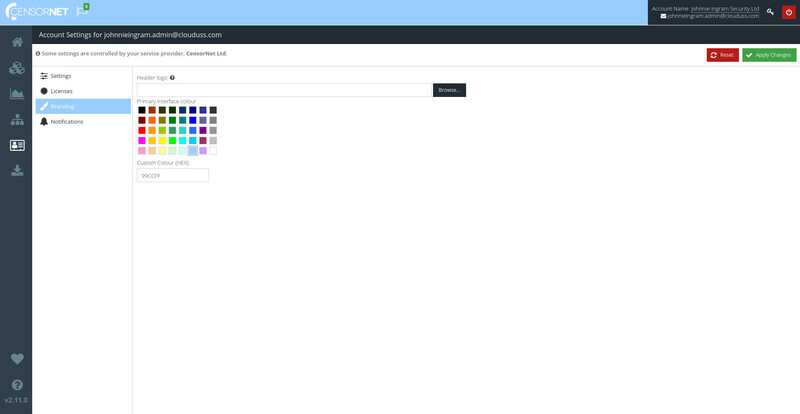 The Branding section allows you to customise the style of the USS dashboard to match your organisation's branding, colours and logo. This is also known as 'whitelabelling'. If you have a partner account, any new accounts you provision will inherit the theme of your own account. This can be changed later for each account if required. To change your branding, visit your USS dashboard and click Account Settings ⟶ Branding. The Header logo is the small image that appears in the top left of the USS Dashboard. You can replace it with your own logo by simply clicking Browse and choosing an image file from your computer. The image you upload will be resized automatically to fit the available space. We recommend an image with maximum dimensions of 350px x 100px. Only PNG, JPEG or GIF images can be used. To see your new logo, click . Changing the primary interface colour will affect the colour of the Dashboard top bar, as well as menus, buttons and some other interface components. 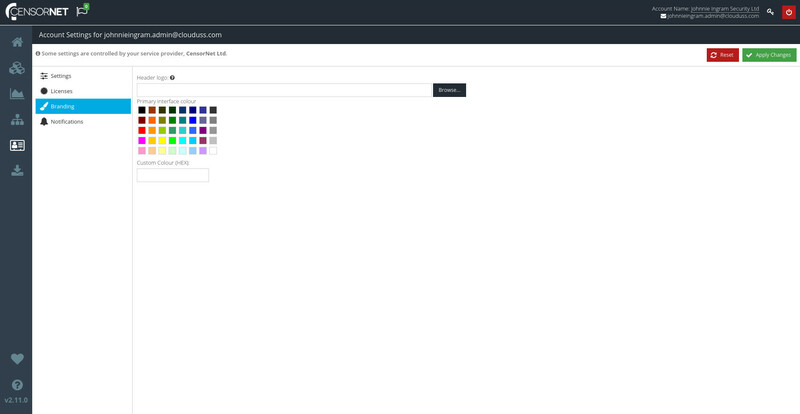 To choose a new primary interface colour, just click one of the available colours from the palette. 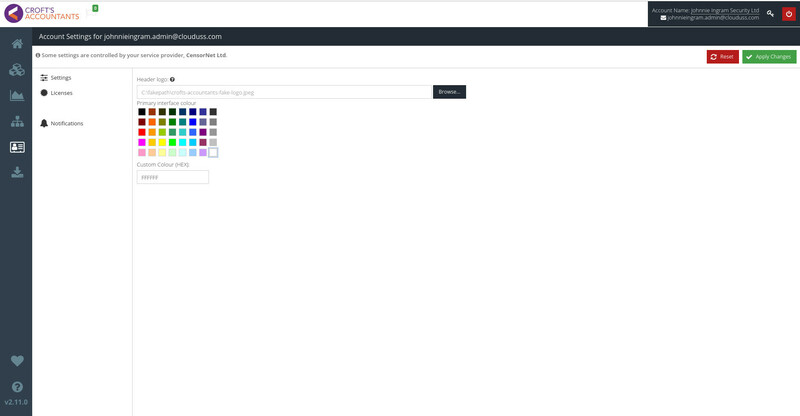 If the colour you need is not available in the default palette, you can specify the colour by entering its hexadecimal RGB representation into the Custom colour field.